What does mele mean? What are some of the different kinds of mele? 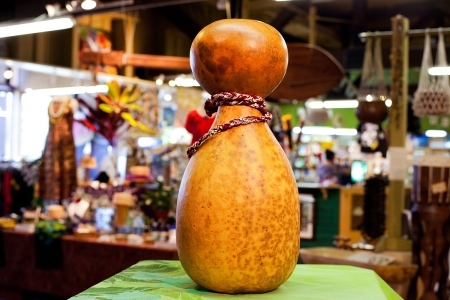 Why do you think the tradition of Hawaiian mele has remained so strong over the years? If you wanted to write a special mele for your grandma, what are some words and images you might include? 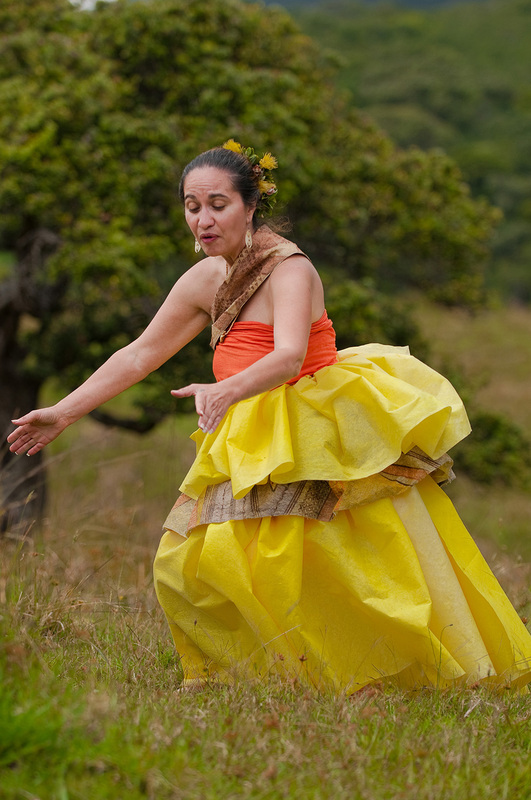 How have outside traditions, like musical instruments, influenced Hawaiian mele? Why is it important to learn ʻōlelo Hawaiʻi if you want to be a musician? ʻAnakē Kainani said, “The mele is probably the most significant gift you can give somebody.” What did she mean? Is there a special mele you could share with a family member or close friend? I leʻa ka hula i ka hoʻopaʻa. Let’s talk story about … mele! So you wanna surf, but the kai is flat? There’s a mele for that. Want to make sure your plants grow? There’s a mele for that too. Want it to stop raining? There’s even a mele for that. Mele are songs, chants, or poetry, and kānaka Hawaiʻi are famous for writing all sorts of them. Some mele arouse excitement, some give praise, and some criticize. Mele are a way to express our feelings—happiness, sadness, anger, love, and everything in between. Mele have a purpose. There are mele to awaken a loved one, to put a baby to sleep, to honor a leader, to challenge an opponent, or to commemorate an important event. There are mele for all occasions in daily life, from combing the hair to sitting down for a meal. 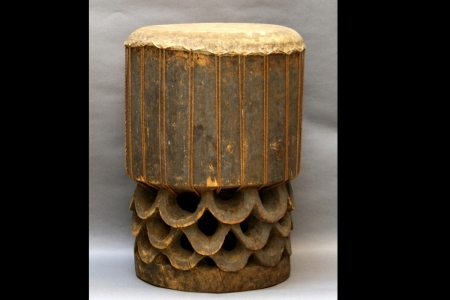 Mele are like containers that hold all kinds of ʻike: knowledge of genealogy, of ʻāina, of the gods, and so much more. Mele give voice to the things that are important to us. When we visit someone’s home, a mele could be our hoʻokupu, or gift, to the hosts. Our voice and the proper mele are needed for entrance into a new place or into a hālau hula, or hula school. 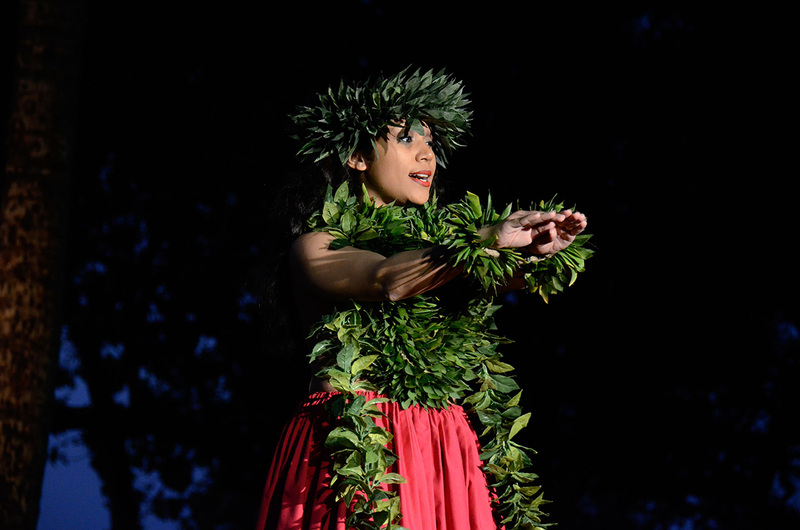 Mele are very important in hula. The ʻōlelo noʻeau above says, “I leʻa ka hula i ka hoʻopaʻa.” The hoʻopaʻa is there to play the ipu and to chant the mele, so that the dancer can dance. Hard to dance hula without a mele! Mele are also an important part of Hawaiian life. Mele are chanted to our gods, to our kūpuna, to other people, and to our ʻāina. 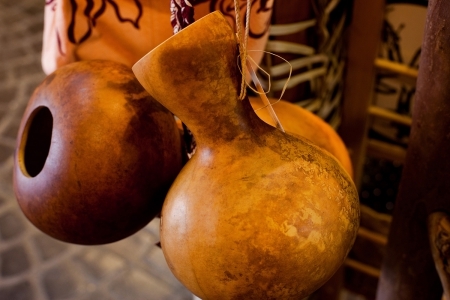 Mele are a way to communicate with them and with everything in the world around us. What kind of mele are there? Music of the world is categorized as being Hawaiian, reggae, Jawaiian, hip-hop, R&B, country, and so forth. Mele are grouped by the purpose and manaʻo, or meaning, of the mele. Here are a few of the many types of mele. How do you make a mele? A lot of work goes into composing a mele because words have so much power. Words are chosen carefully to avoid any unintended manaʻo that might insult people or have other unintentional consequences. The mele is checked by a knowledgeable person, sometimes by several people. But often the composer is the only one who knows the deeper meaning, or kaona, of a mele. Lines of songs are joined or separated into verses. We often call a verse a “paukū,” which is also a term we use for “paragraph.” An older term for verse is “ʻoki,” but, unlike most paukū today, ʻoki could consist of lines of irregular length and beat, and no two ʻoki in one song had to be the same length. ʻOki separated different thoughts in a mele. Once a thought covered in several lines was complete, that ʻoki would end and a new one would begin. 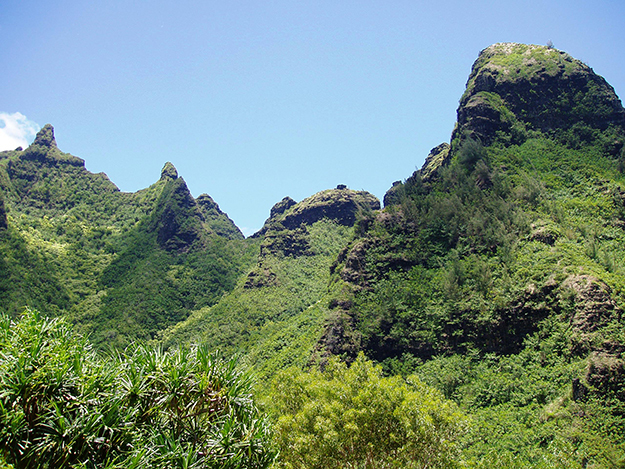 “ʻOki” means to cut, which helps us visualize the breakup of mele into ʻoki. 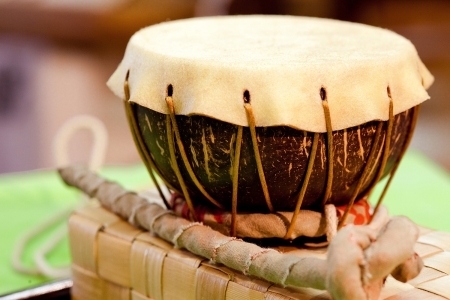 Sound repetition helps the mele to flow as it is being composed. Kānaka Hawaiʻi enjoy the word play that this kind of repetition inspires. And after the mele is complete, sound or meaning repetition helps the learner to memorize the mele. This and other characteristics that are frequently seen in mele Hawaiʻi are called loina or, more recently, meiwi. Today, just as in early Hawaiʻi, we have famous composers. Some of these composers are also highly skilled in chanting, singing, dancing, and playing music. Some of them were involved in bringing about the language revitalization movement and the Hawaiian renaissance, while others are younger and are the products of those movements. They write mele on a variety of topics, from UFOs to surfing to the beauty of the dawn. Sometimes the topics are different, but the mele all come from their observations and connections to the world, just like those of our kūpuna. What do mele sound like? Mele can be expressed in more than one way. In the early days, no one sang. Oli, or chanting, was the way to give mele life, and many different styles of chanting developed. Today, we still chant. 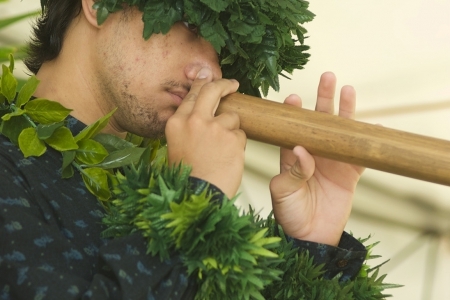 But we also sing and play instruments, including early Hawaiian implements, like the ipu (gourd), pahu (drum), and ʻohe hano ihu (nose flute). Hawaiians like to preserve our traditions, but sometimes new and old styles of instrumentation can be brought together to make our mele even more interesting. 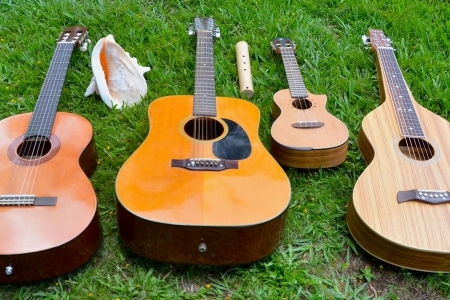 In fact, that is how instruments such as guitar, ʻukulele, piano, and even the zither came to be used to play Hawaiian mele. Mele Hawaiʻi continue to thrive! Kānaka are learning traditional mele and the knowledge contained in the old songs. We are also composing new mele for contemporary contexts that evoke the feelings, characteristics, and values of our kūpuna. We continue to show our aloha for each other and for the world around us through our mele. Aloha ē! [It shows] that the child has a grandparent. Said in admiration of a child whose grandparents show affection by making beautiful things for his use or composing songs and chants in his honor. A similar expression is He keiki mea makua: [It shows] that the child has a parent. Even the base of the ear isn’t tickled by your song. A rude remark to one whose song or story is not appealing.